The paper presents the transmittance characteristics of electromagnetic (EM) waves in one-dimensional photonic crystal with the insertion of defect layer within the regular structure of plasma photonic crystal. The Plasma Photonic Crystal (PPC) consists of alternate layers of thin micro-plasma with dielectric material in one-dimensional periodic structure. The reflectance and transmittance of considered structure are calculated using transfer matrix method. 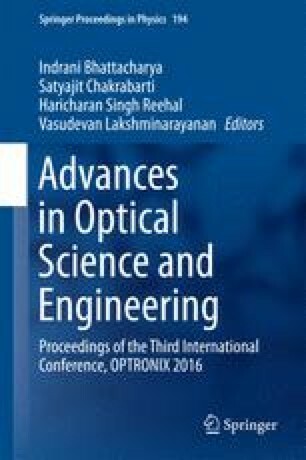 From the study, it is found that a number of photonic band gap increases by introducing a defect layer inside the regular structure of plasma photonic crystal. One of the authors Dr. G. N. Pandey is thankful to Dr. Ashok K Chauhan, Founder President, Amity University, Uttar Pradesh, for his interest in research and constant encouragement.